Today we had an incident where one of our African American students was escorted from a biology class by members of UTSA’s police department at the request of a faculty member. While the facts aren’t fully known regarding today’s incident, our Office of Equal Opportunity Services is already conducting an investigation into possible discrimination. In addition, an inquiry regarding the academic management of the classroom is being conducted by Interim Dean of the College of Sciences Howard Grimes. Beyond this particular incident, I am very much aware that the circumstance represents another example of the work we need to do as an institution around issues of inclusivity and supporting our students of color. This concerns me greatly, and it’s incumbent upon us as an institution to face this head-on. It’s something that we need to address immediately as a university community. I look forward to the arrival of Dr. Myron Anderson, our new Vice President for Inclusive Excellence, to assist us with developing a strategy to address these systemic issues. 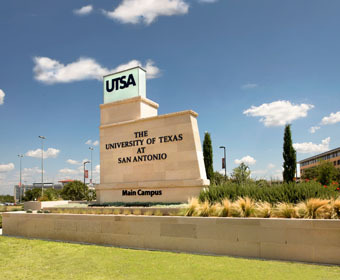 I welcome your concerns being shared directly with me and my office by emailing taylor.eighmy@utsa.edu. I promise to begin this process immediately – it will take time, but has my full commitment.